To enter: Follow smoktechnology on Twitter, Retweet and tag your friends. Every 200 retweets produces 1 winner. 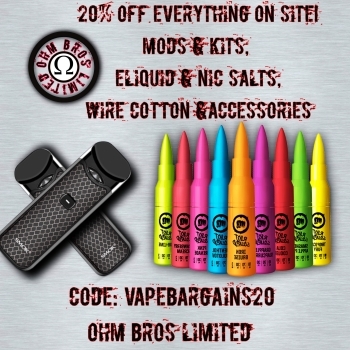 Ending the weekend with OSUB KING KIT to giveaway! 220W power&intelligent VW/TC mode is perfect for cloud chasing.